Quick question: how many times, as you sampled perfume, has a salesperson told you that something is “all natural”? A lot, right? At least, more often than they should. The idea of a “natural” perfume is compelling: it sounds healthy and upscale, like organic food. And yet, almost every time you hear the phrase “all-natural”, a synthetic product is being used. “Mainstream perfumes are composed of mostly synthetics at this point; well over 90%,” independent perfumer Dawn Spencer Hurwitz tells me. For perfume to be inexpensive and widely available, it pretty much has to use them. 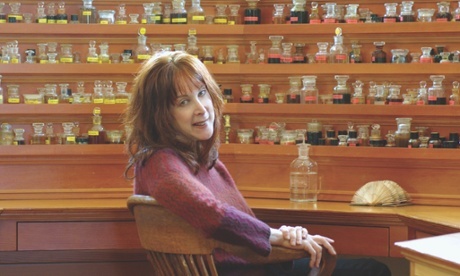 This isn’t necessarily wrong: Spencer Hurwitz herself creates some all-natural perfumes and some not-so-natural ones. And “synthetic” doesn’t always mean “bad”. Chanel No 5 contains some real jasmine oil, but its smell mostly comes from the artificial aromachemicals known as aldehydes. Still, a growing number of independent perfumers are creating genuinely natural perfume, even if this means they have to make smaller, more personal products. The shopping is a core concern: natural materials are often far more expensive, and harder to obtain, than synthetics. In her new book, Fragrant, Aftel devotes a chapter to ambergris – fossilized whale feces – which is so rare and difficult to find (basically, you stand on the beach and hope that a whale once pooped in your direction) that it costs up to $10,000 per pound. Yet you can’t fake it: ambergris makes perfume last longer, is so potent that one drop changes a whole composition, and, Aftel writes, is “the most gorgeous smell I have ever encountered”. And every piece of ambergris smells slightly different. Natural perfume can’t really be mass-produced, because it’s too hard to make all the bottles smell alike: as with wine, the flavor of any crop will vary from year to year and farm to farm. Aftel herself ran into trouble when using a specific variety of shiso (Japanese mint) oil. “I shared it with Daniel [Patterson], my co-author. I did a cookbook with him, and he uses my oil in his food,” she told me. “But I didn’t have that much left, and I started to try and rebuy, and everything was dreadful. It smelled kind of like cat pee. It moves a little bit over and it’s just awful.” She spent 10 years on the hunt, sampling different crops, until she found the right kind. If this happens to a perfume sold on a small, independent website, it’s a problem. It would be a disaster if it happened to a fragrance at Sephora, which was expected to sell millions of bottles every year. Etrog is a citrus fruit, and an important part of Sukkot ceremonies. It’s also not something that you smell very often, so the average manufacturer is not selling the essential oil. To get it, Moriel had to harvest the fruit herself; if you smell Etrog, the ingredients include fruit that Moriel’s mother collected from her neighbors, and several years’ worth of donations from a rabbi. Aftel, too, is passionate about the stories and histories of her ingredients; listening to her talk about them, you get the sense that choosing to work with “naturals” isn’t a refusal, but a simple love of finding beauty in living things. And “natural” has never not been strange: one of her perfumes, Cepes & Tuberose, is like watching a flower bloom in slow motion. It opens with an overwhelming smell of dampness and earth, and a pink, sweet floral slowly rises up and conquers the darkness. The thing is, that damp-earth smell is something you know, even if you don’t recognize it in this context: it’s essence of porcini mushroom, something Aftel smelled in the context of cooking. “I was working with this very costly tuberose. And I noticed that there was this overlap in their smell … an earthy piece in their bases that sort of crossed over,” Aftel says. So whatever “natural” is, it does not preclude the new. Or the very old: one of Dawn Spencer Hurwitz’s collections is drawn from old Egyptian perfumes, initially designed as part of a series of lectures she gave at the Denver art museum. Though she uses synthetics to replicate certain ingredients – unlike ancient Egyptians, you cannot actually sell a perfume that uses wine as an ingredient – the naturals take you back to what long-dead people would have actually felt and smelled. Which is really the point of any perfume, natural or not so much. After that, the choice of what to express is up to you.